This exhibit opens today at the Lyman Allyn Art Museum in New London, CT. It will run until Saturday, April 26. 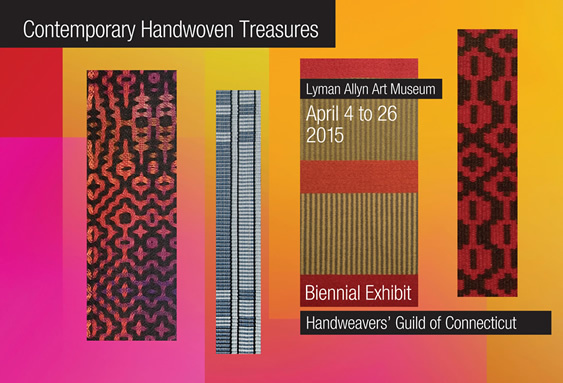 There is an awards ceremony on April 11, and a day of weaving desmonstrations on April 18th. The museum is closed on Easter and Easter Monday. I am thrilled to have two pieces in this show, and I hope to visit the show on the very last day it is open. I’ll be skidding into town just in time! The chairwoman of the show wrote me earlier this week to say that “Sunet on Wilson Cove” has received two awards! 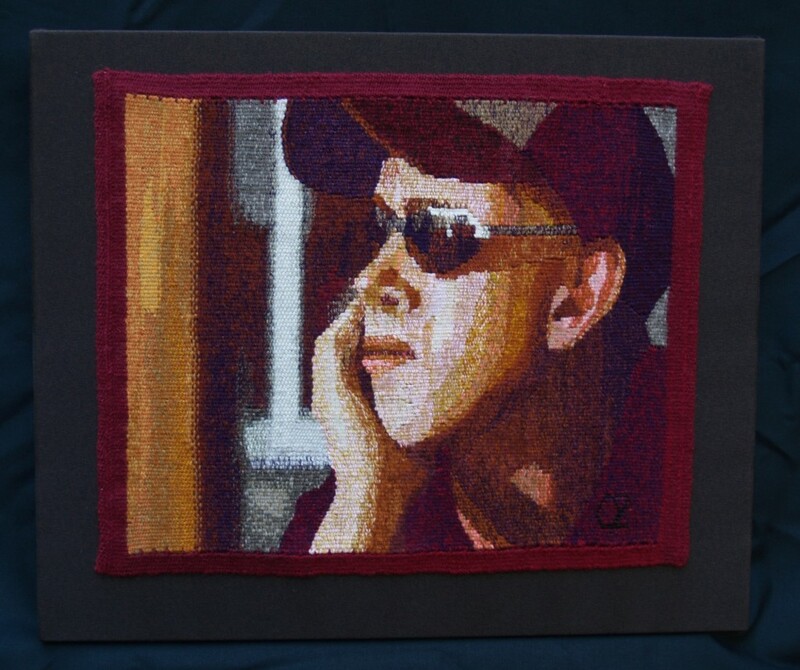 2nd Place for Wall Hangings, and a special award for Best Use of Color! She made my day! The jurors were Sarah Saulson and Anita Thompson.